The pocket sprung unit features individual pocket springs which work independently to react to your body's movement and weight, oﬀering complete support. 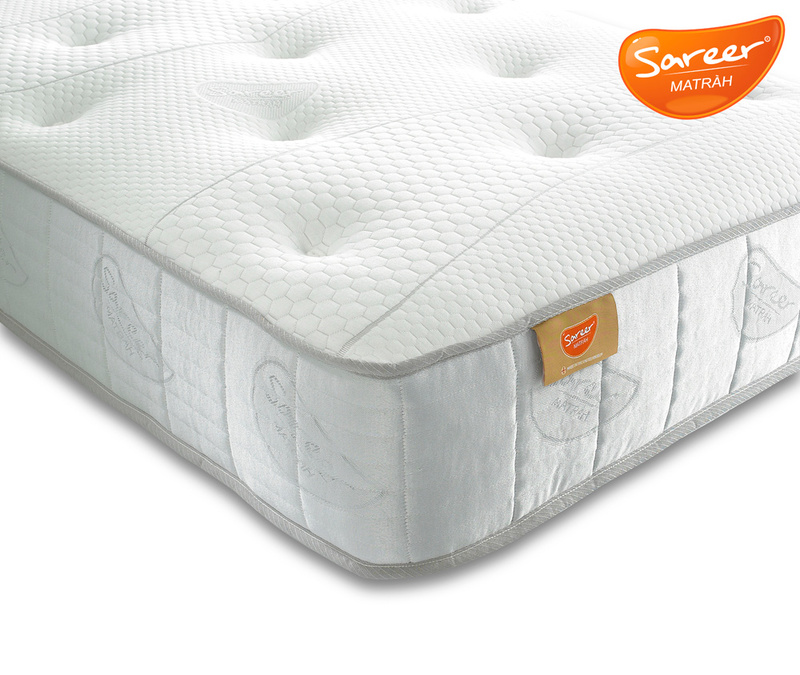 Sareer's Pocket Memory mattress has a medium feel to it, and is perfect if you are looking for a pocket memory foam mattress with body moulding properties and a good combination of pressure relief and support. 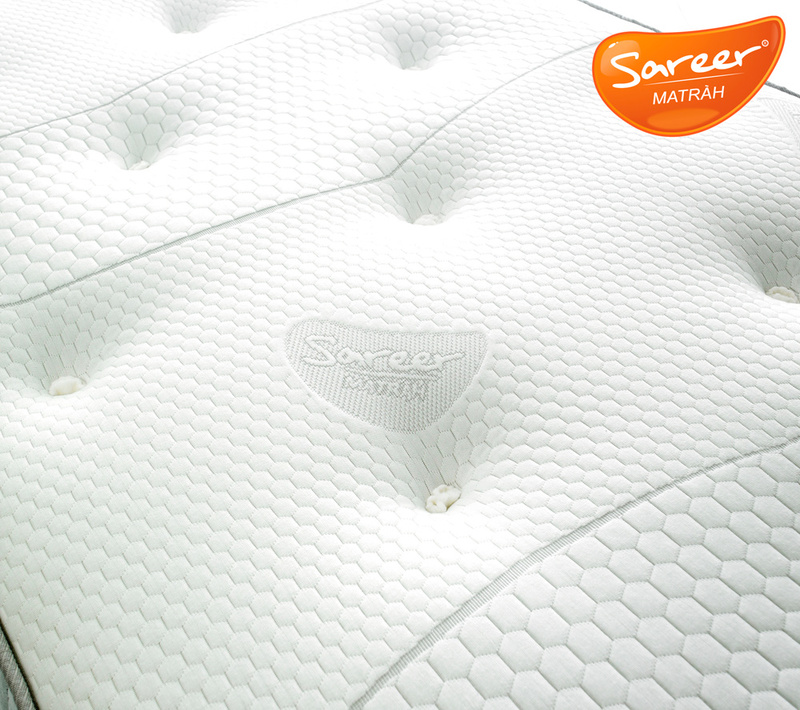 The mattress features a soft knitted fabric. The sensitive memory foam layer provides comfort and support to your shoulders, back and hips, and works in harmony with your body to ensure that you are sleeping in the correct anatomical position, meaning you can wake feeling refreshed and free of any minor aches and pains. Memory foam also oﬀers relief for your pressure points which encourages healthy blood circulation, as well as reducing the need to toss and turn during the night, meaning a deeper and more restful sleep. 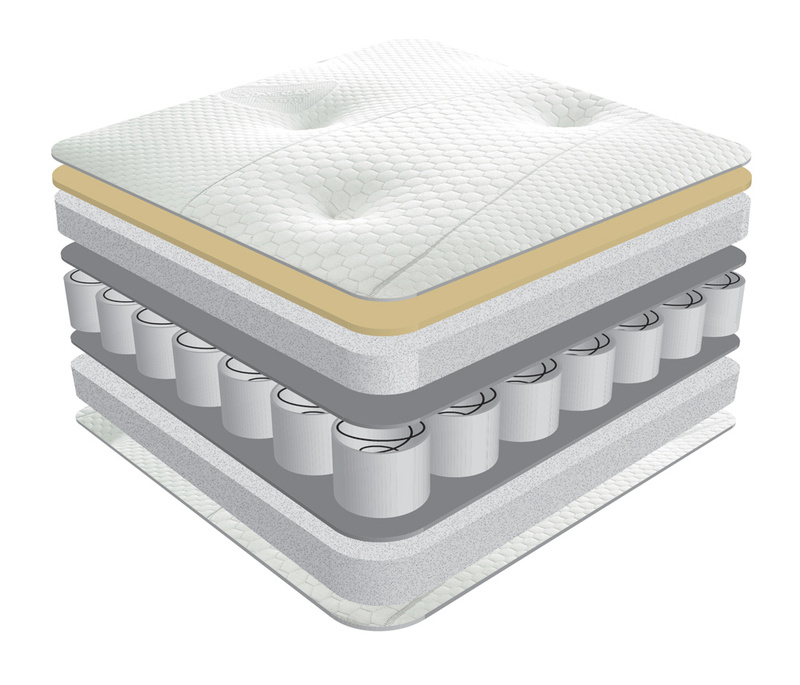 The pocket sprung base provides a luxurious feel to your mattress, unlike interconnected coil mattresses, pocket springs work independently of each other, and the ﬂexibility in the pocket springs allows the mattress to respond to the shape, weight, size, movement and sleeping patterns of your body. Pocket sprung mattresses are also an advantage if there is a considerable weight or size diﬀerence between you and your partner.